The Stonington Free Library is Everywhere You Are! 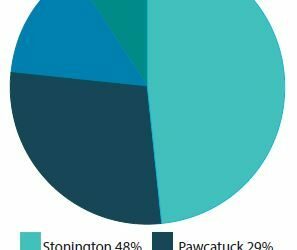 That SFL serves all 40 square miles of the Town of Stonington, including the villages of Pawcatuck and Mystic? • In fact, more than half of our active cardholders reside outside the 06378 zip code! 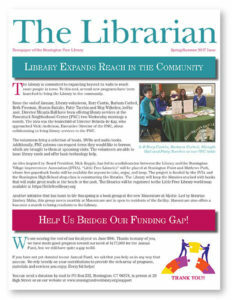 • In addition to our location on Wadawanuck Square in Stonington, we recently rolled out a newly-designed “digital branch” at www.stoningtonfreelibrary.org which is open 24/7 and offers the ability to checkout ebooks and audiobooks, access the Library catalog, renew items and more. Since the redesign in 2017, viewership of our website has increased 54%! • SFL also operates a satellite branch at the Pawcatuck Neighborhood Center 1.5 hours per week, providing access to local residents who may be unable to reach our main location. • We host a monthly residents’ book club at Masonicare serving 95 participants, and residents have the option of a bus trip to the Library once a month as well. • Our Summer Reading Program attracts over 600 children from all across the Stonington School District, and is the only summer reading program in town. Our Director of Youth Services works closely with the Stonington schools to create their summer reading book lists and ensure that we have enough copies available.